Spitfire (in bronze), Top Gun (in Ceratanium) and 'Le Petit Prince'. 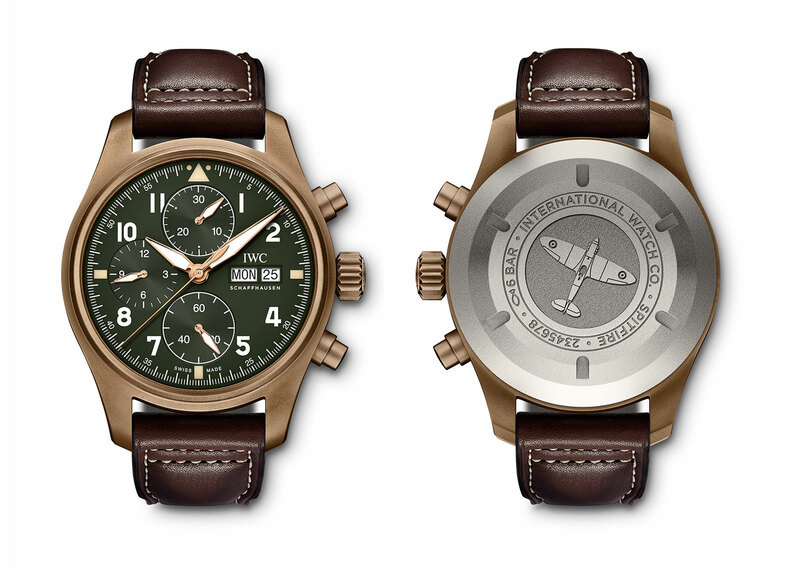 A mere two years after IWC last revamped its bestselling Pilot’s Watch range, a whole new line of aviator’s timepieces will make their debut at SIHH 2019 in January. The new collection will primarily be made up of three families – Spitfire, named after the WWII British fighter plane; Top Gun, a namesake of the US Navy fighter academy; and Le Petit Prince, inspired by Antoine de Saint-Exupéry’s novel. 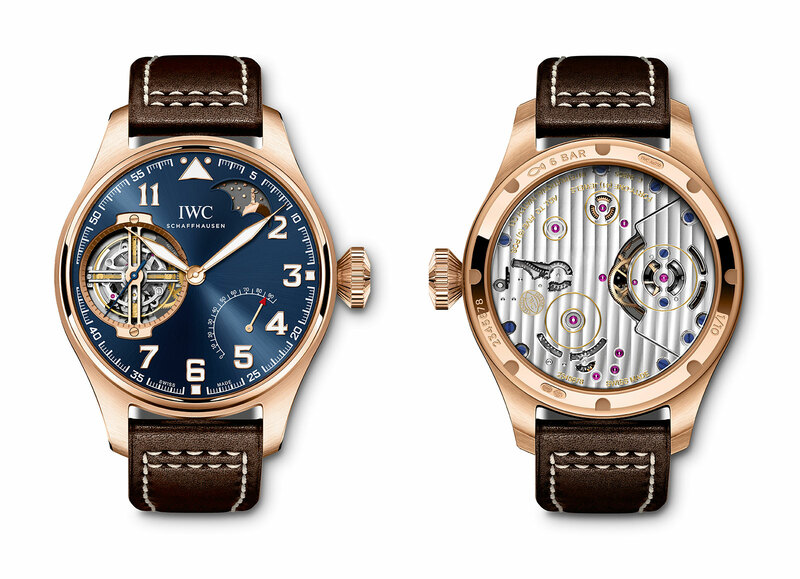 While the look of the new aviator’s watches will be familiar, IWC is also rolling out new movements and materials. The line will include cases made of Ceratanium, a titanium-ceramic composite, as well as surface-hardened 18k gold, which is unusual in watchmaking. And the new Pilot’s Watch collection might also be notable for being the first time a mainstream brand reveals a collaboration watch with a blog at SIHH (think split-seconds and American). The Spitfire line is the highlight, for two reasons. First is the across the board upgrade: all Spitfire watches will now be equipped with in-house, or manufacture, movements (as opposed to stock ETA or Sellita movements). 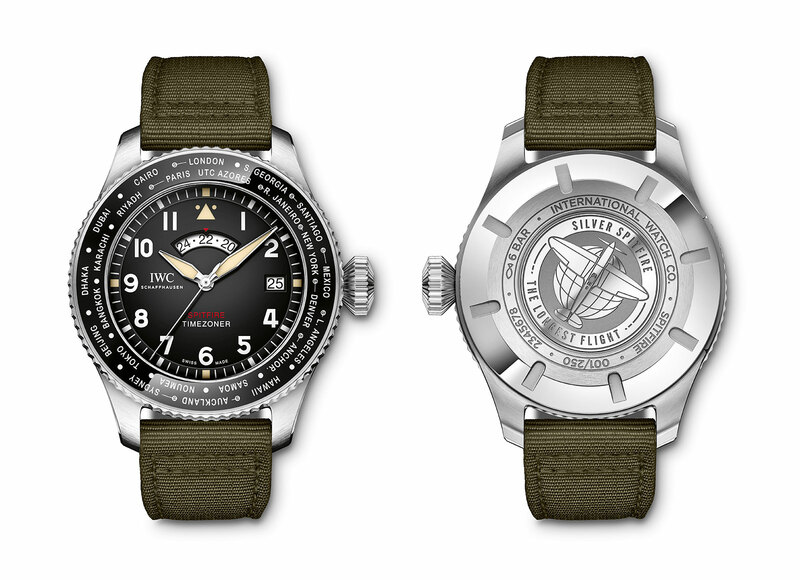 The second is Silver Spitfire – The Longest Flight, which will see a WWII era Spitfire fly around the world in the summer of 2019, with IWC as the main sponsor of the project. The round-the-world flight is the basis for Pilot’s Watch Timezoner Spitfire Edition “The Longest Flight” (ref. IW395501). Inside is the patented Timezoner world time mechanism (which IWC bought from now defunct watch brand Vogard in 2015), sitting on top the brand’s 8000-series automatic movement that has IWC’s trademark Pellaton winding and a 60-hour power reserve. A large watch at 46mm in diameter and 15.2mm high, the Timezoner Spitfire has its time display linked to the rotatable world time bezel. Turning the bezel moves the hour hand to show the local time anywhere in the world. It’s limited to 250 watches. The Pilot’s Watch Chronograph Spitfire (ref. 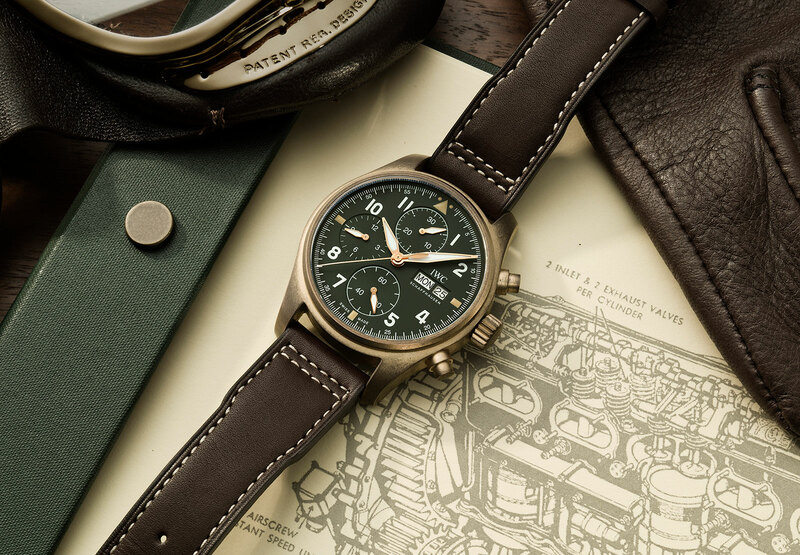 IW387902) is one of the few IWC Pilot’s Watches with a bronze case and dark green dial. Now just 41mm in diameter, making it slightly smaller than the preceding generation of watches, the new Spitfire chronograph is powered by the cal. 69380. Conceived to replace the ETA Valjoux 7750, the calibre is part of the 69000 family that is based on the 7750 but upgraded with features like a column wheel and skeletonised escapement parts made via LIGA. Another movement of the family was found in this year’s Portugieser Chronograph “150 Years”. 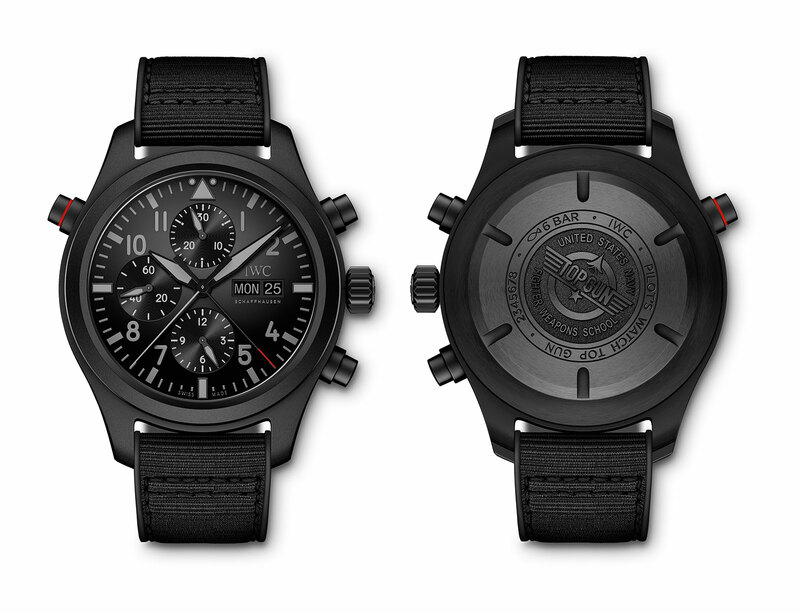 The Top Gun line will include the Pilot’s Watch Double Chronograph Top Gun Ceratanium (ref. IW371815). It’s a split-seconds chronograph that has a 44mm case made of a ceramic-coated titanium. The new material is essentially a titanium alloy with a ceramic oxide coating on its top surface, giving it scratch-resistance. That’s why it’s also used to make the chronograph pushers and pin buckle; in earlier generations of ceramic case watches those components were steel or titanium instead. The new Double Chronograph has an all-black colour scheme, with only the split-seconds hand and pusher having the slightest of red accents. Inside is the cal. 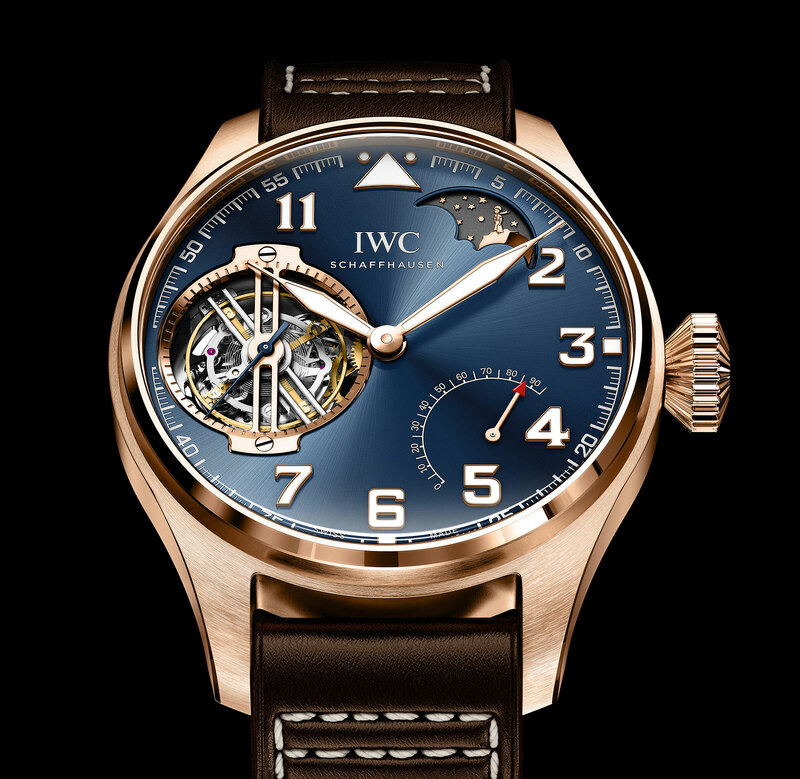 79230, which is a Valjoux 7750 plus IWC’s split-seconds mechanism. One of the top of the line models to be presented at SIHH is the Big Pilot’s Watch Constant-Force Tourbillon Edition “Le Petit Prince” (ref. IW590303). It’s a giant 46.2mm by 13.5mm wristwatch in 18k red gold, powered by the cal. 94805. The complications within include a tourbillon with an integrated constant force mechanism, moon phase and power reserve indicator. Unusually for its large tourbillon carriage and long, 96-hour power reserve, the movement can also be found in watches like the Portugieser of 2017. But more interesting is the 18k red gold case, which is actually made from a new gold alloy. IWC labels it “hard gold”, but it is likely an alloy that has been treated to increase the hardness of its surface through some sort of carbon diffusion treatment (and something Sinn tried but abandoned some years ago). According to IWC, it is five to 10 times more “wear-resistant” than ordinary red gold. The rest of the Pilot’s Watch line will be revealed at SIHH 2019, which starts on January 14, 2019. Stay tuned. Correction December 13, 2018: Ceratanium is ceramic-coated titanium, and not ceramic-titanium composite as stated in an earlier version of the article.